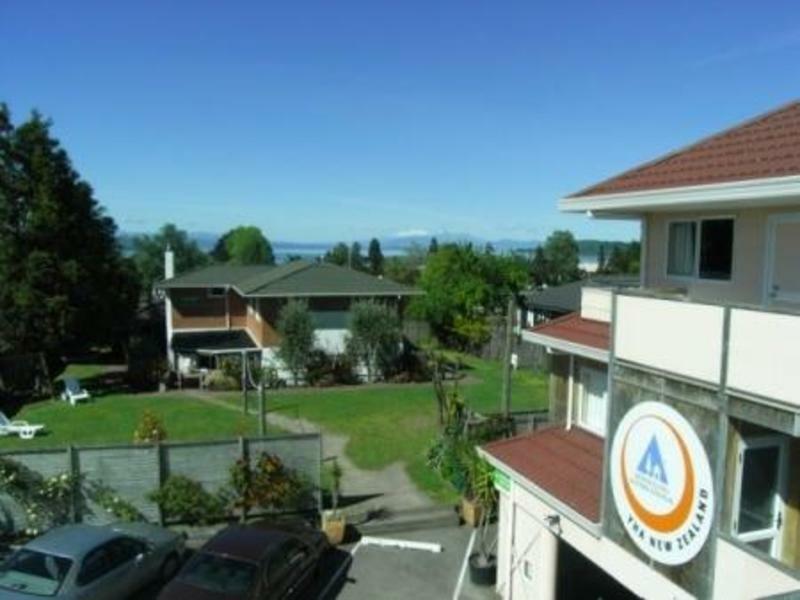 With only a 5minute walk to the town centre, we are located in a quiet part of town and are the perfect place to relax with a large sun filled spacious deck overlooking the lake and mountains beyond, hammocks to doze in, a garden to chill out in, and a wide a variety of comfortable accommodation to sleep in. 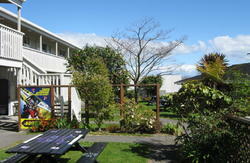 Great facilities, high standards of cleanliness and friendly staff make this the perfect base for your stay in Taupo. 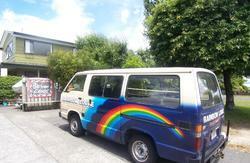 We can organise your track transport for the Tongariro Crossing including pick ups at the front door. Don't forget to ask the staff about discounts on activities! A wide range of comfortable accommodation is available from the 8 share rooms for the budget traveler to the smaller well appointed 4 share rooms and the private ensuites. 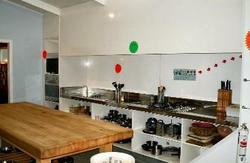 Great kitchen facilities, video library, table tennis, and volleyball court. Corner of Tamamatu and Kaimanawa Street. By foot: From the centre of town follow Tamamutu Street then turn right onto Kaimanawa Street. The hostel is a short walk on the right hand side of the street. State Highway 1 from Rotorua/Auckland, turn off to Taupo at the big roundabout. Drive along the main street until you reach the traffic lights (only traffic lights in town!) and turn left onto Heu Heu Street. Take the 3rd road on the left, Kaimanawa Street, and we are one block up from here. Follow State Highway 1 - when you reach the outskirts of town there is a roundabout, turn left into Taupo onto Lake Terrace until you reach the traffic lights (only traffic lights in town!) and turn right onto Heu Heu Street. Take the 3rd road on the left, Kaimanawa Street, and we are one block up from here.